[Some people on Gab were spreading this. I think this is extremely important. It is very sad to see a young woman grieving like this. 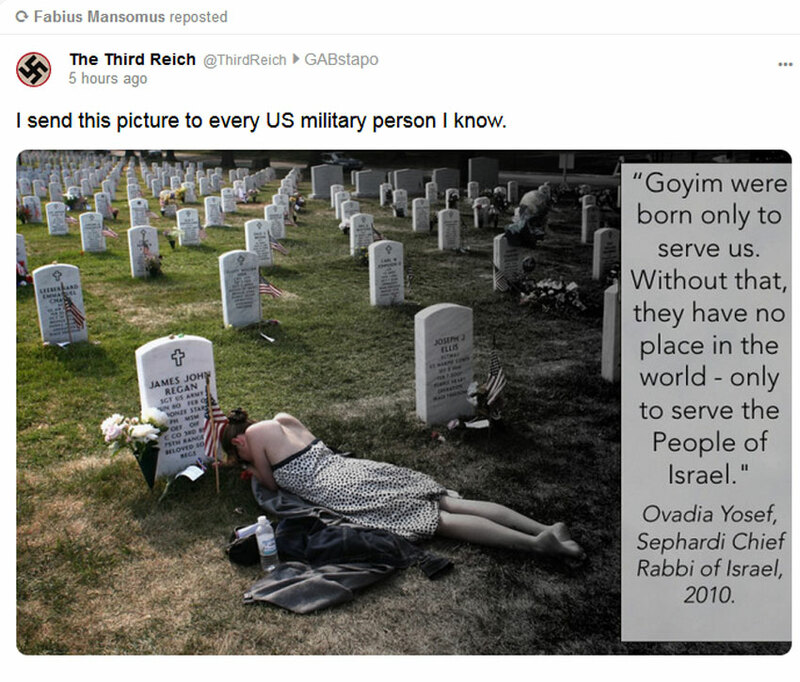 But its time for whites to realise that most soldiers and special forces are just working for the Jews. Tom Metzger says this and its totally true. These whites are dying for Israel and the Jewish scum. These whites are going and killing Arabs because the Jews want whites (especially Christians) to be at war with the Arabs/Muslims. That’s all this is about. Whites must stop dying for stupid (malicious) Jewish causes. If we’re going to fight and die, then let’s do it for a worthwhile reason like our own FREEDOM and the FUTURE OF OUR RACE. These are worthwhile causes. These are the highest causes of all. Why fight and die for some corrupt sellouts to the nation and the race? If white men are going to fight and die, then do it for the benefit of our race and the future. Don’t waste your precious life on stupid Jewish causes which are malicious anyway and INTENDED to harm our race and even the countries that carry these tasks out. Not just now – it’s been true since before the Boer War. That’s why Jews are very keen to keep hidden. I am confident the Article is correct, but I know not what I and U.S. citizens can legally do to stop Jews. We, U.S. citizens, can, have the constitutional power, to vote out every Lawmaker in America, particularly 33 Senators and 435 Representatives in Congress every two years. That is what I advocate. However, getting citizens to do it is impossible, so far. Have a chance to vote them all out come November. America has a corrupt unconstitutional government for over one hundred years, and reelected every two years by a corrupt citizenry.